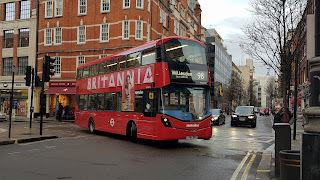 In 2011 the tenders of routes 25, 26 and 30 shook the East London bus scene by making a move from Stagecoach London to First London. Today all three routes are now found with different operators. The 25 at Tower Transit, the 26 at CT Plus while route 30 has recently just completed a move from Tower Transit to Metroline. It was soon announced that route 30 would operate from the previously fully single decker base at Kings Cross, with space being made available by route 46 moving to Holloway to co-incide with its electric conversion. It's probably quite safe to say that at the time of the award many enthusiasts expected Metroline to order the company standard of Wright Eclipse Gemini 3 buses on the Volvo B5LH chassis. 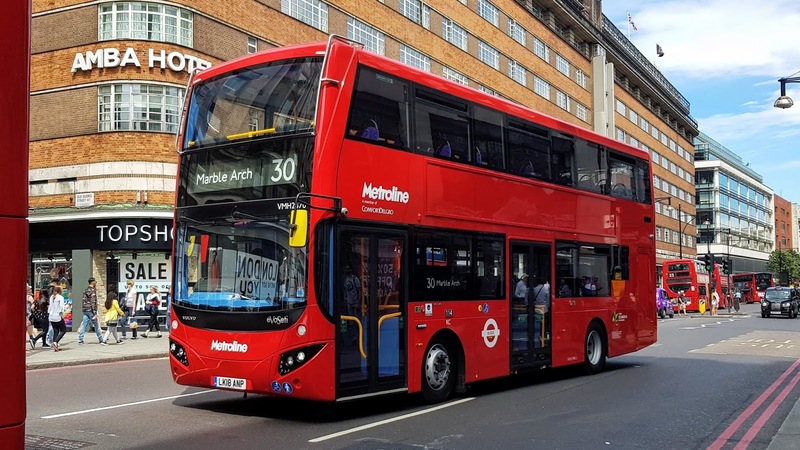 Although a few months later it was announced that Metroline were going to change their bodywork supplier from Wrightbus to MCV, who are located in Egypt and therefore MCV EvoSetis were going to be the order for the route. 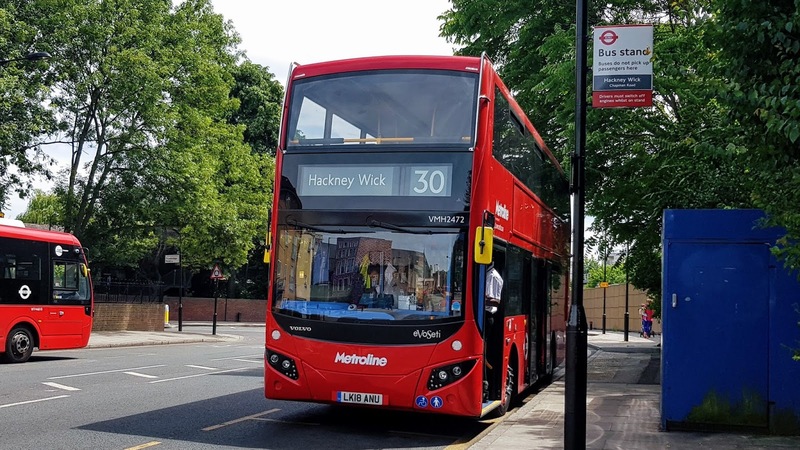 The reason for this change is believed to be due to the delay caused by the introduction of the Gemini 3s at Willesden and due to quality not being up to the standard expected from Metroline. This unsurprisingly didn't go down well with Wrightbus who earlier this year had to make a number of employees redundant, and now more jobs look like they're at risk. 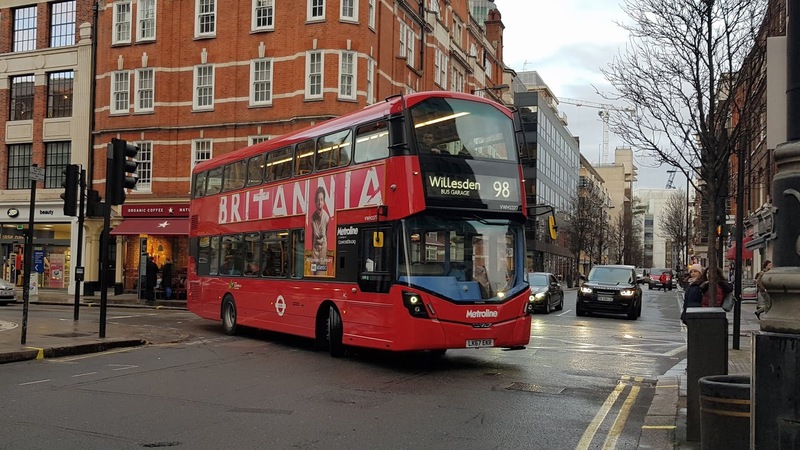 The reason for these job cuts is being blamed on uncertainty in the UK bus market, as well as a lack of orders from London. Another reason being given by Wright bosses is the outsourcing of bus orders to China and Egypt - which is no doubt a clear reference to the orders of EvoSetis as well as BYD vehicles. The regional Unite union officer has called this an "inexcusable betrayal" of Northern Ireland's workers by TfL, although personally I don't agree with that statement, if Wright want the business they need to show they are worthy of business. 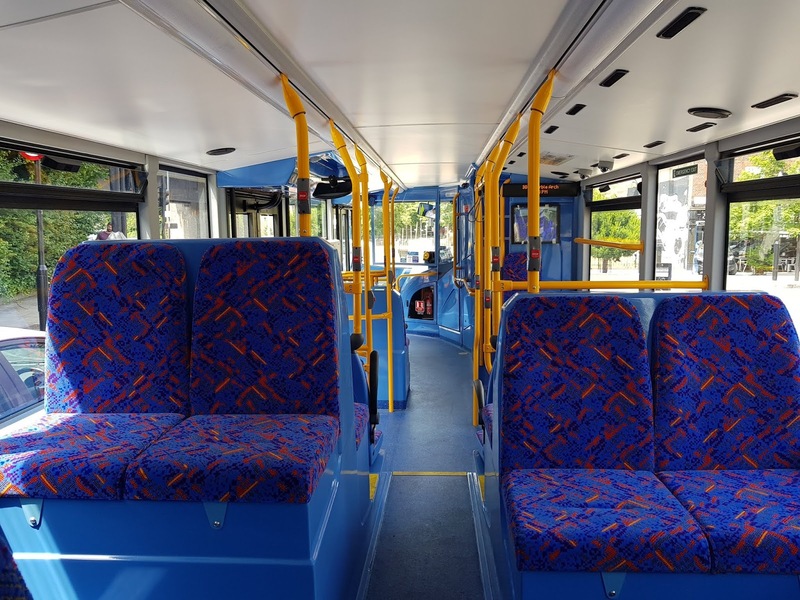 This case wasn't helped with Lothian Buses, a loyal customer to Wright announced that they had entered an agreement with Alexander Dennis and Volvo to produce buses for them. Therefore things aren't looking too bright for Wright in the immediate future. Route 30 unsurprisingly has a long history. It started life in 1934 running a long route from Roehampton to Hackney Wick running via Fulham Palace Road, West Bromton, South Kensington, Knightsbridge, Marble Arch, Euston Road and Dalston although during days there were events the route was extended to the Greyhound stadium at Hackney. In 1934 these stadium journeys were withdrawn and the route terminated at Hackney wick at all times. In 1981 the route was extended within Roehampton to Bessborough Road as well as being rerouted in order to serve Putney Hill and Putney Heath. This however didn't last long and 1982 saw the route withdrawn between Putney Heath and Roehampton, at this time it was also rerouted via Hackney Downs. Further withdrawal came in 1987 when the route was cut between Putney Heath and West Bromton. In 1991 the route was completely removed from the South-West area after being diverted at Euston to instead terminate at Trafalgar Square. 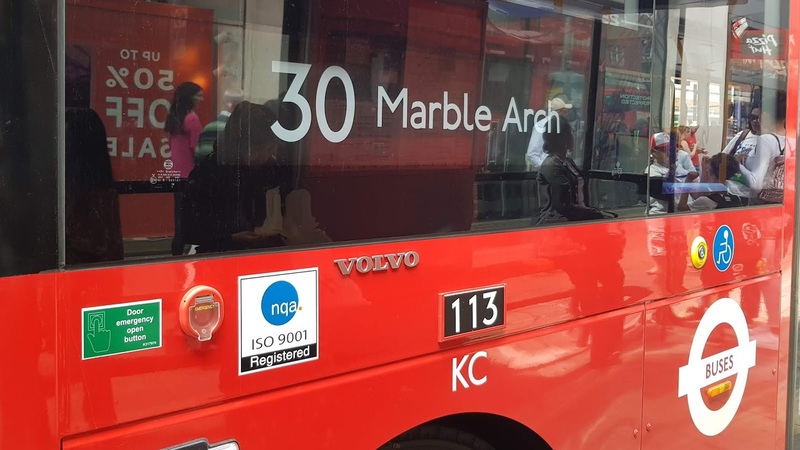 Although by 1992 the route was back to its old line of route, but running no further than Marble Arch leading to the 30 that is still in operation today. 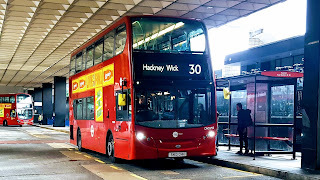 The route's last stint saw it housed with Tower Transit at Lea Interchange (LI), it was allocated with Enviro400s which it initially shared with the 26, 425 and later the 69 although Wright Eclipse Gemini 2s often frequently made it onto the route from the 25 and 58s allocation. Lea Interchange are known for their strict allocations concerning Hybrids and therefore it was quite rare to get Hybrids from the 212 or 308 on the route, although they did sneak out a few times. 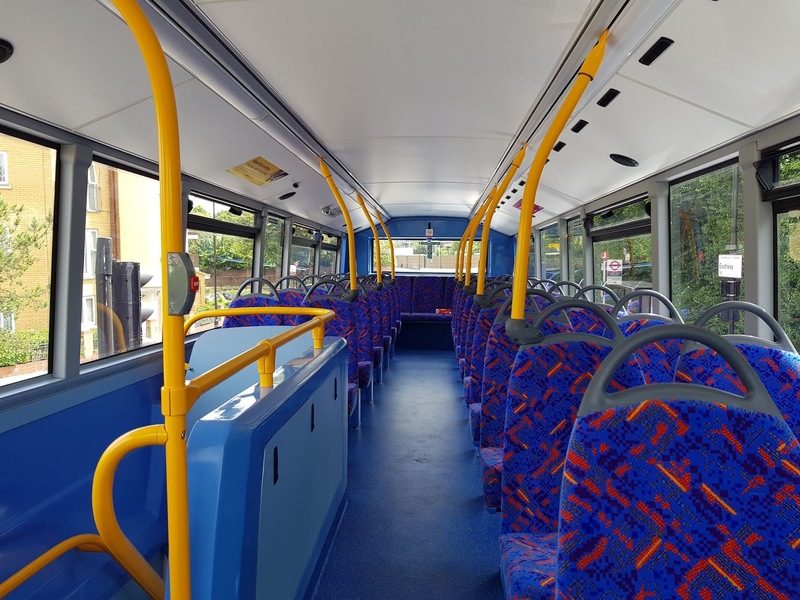 The departure of the route will leave space in LI, who are quite well known for their space problems, although the space should be filled in with the arrival of the D8 later this year as well as with the arrival of routes 262 and 473 in March 2019. 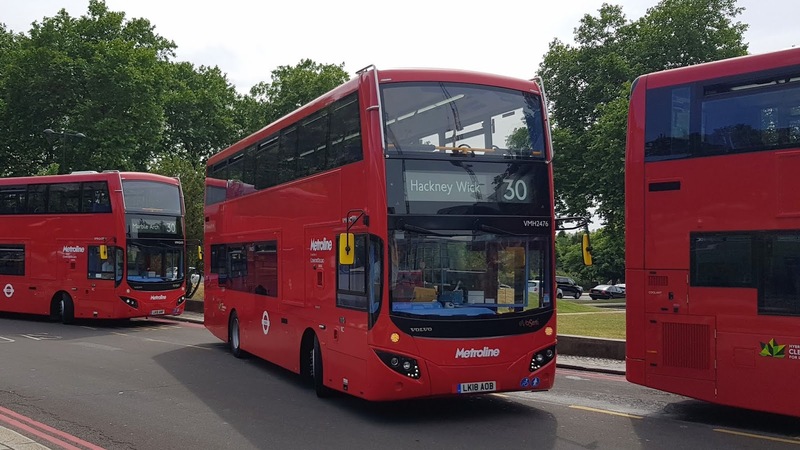 As for the Enviro400s allocated to the route, they are expected to make their way to Westbourne Park (X) for the uptake of route 452 in December 2018. The EvoSetis were ordered originally for routes 30, 31 and 274 (which is going to convert to Double Deck operation), although a decision by Metroline later saw route 31 gain existing Gemini 2 bodied B9TLs instead from various garages and now the EvoSetis are expected to form a part allocation on route 43 instead, since then it has been announced that the 43 will convert to electric operation using E40H City EVs, so the long term future of the EvoSetis that will end up on that route is currently unknown. In the weeks prior to the uptake of route 30 the VMHs started to appear and were found parked up at the back of Willesden Junction (WJ) garage. Tower Transit wrapped up their phase on the 30 in the early hours of the 24th of June 2018, with Metroline's buses starting service a few hours later. 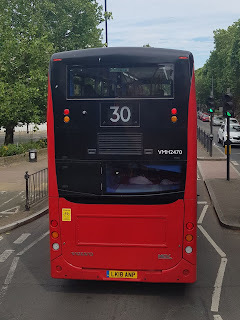 While many people were at home watching Belgium playing Tunisia I went out to catch up with the new operator on the 30, as well as the introduction of a new bus type to the Metroline fleet. Getting to Hackney proved to be a bit harder than it should have been due to a fire alarm at Westfield and a lot of traffic on the approach to Hackney Wick. Eventually I reached the 30s stand to find VMH2472 on stand. The driver was talking to the controller as I arrived, and continued talking for a while and ended up departing 5 minutes after he was meant to. This was then not helped by a problem with the Oyster machine as we tried to get on. 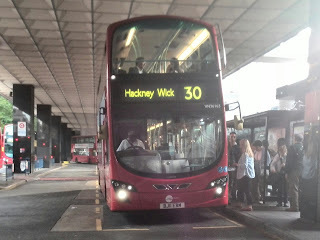 Leaving Hackney Wick we were greeted by a long line of traffic, which tested the bus' start-stop mechanism quite well. This traffic continued all the way through Hackney Central, where I'd say it was at its worst and then it started to die down as we left Hackney and travelled along Balls Pond Road towards Highbury & Islington. This part of the 30s route will be tested in its ability to handle crowds as parallel route 277 is going to be cut back to Dalston Junction from next Saturday (30th June), although the 30 is getting a few extra peak journeys to help combat this. Leaving Highbury Corner we ran into more traffic, although this time it wasn't as bad as the traffic that we encountered in Hackney. By this time my bus was leading a triple bunching, and inevitably it wasn't long until the bus got turned, we would now be ending at Baker Street instead of Marble Arch. After passing the Angel Islington the route is just the same as any Euston Road route. We encountered more traffic between Kings Cross and Euston, and once we escaped that we were being turfed off the bus at Baker Street. Upon arrival at Baker Street the driver did try to make an announcement on the PA system, although for some reason a very loud feedback sound played instead - which in all fairness was probably just as effective in getting people off the bus. As I got off, VMH2476 was just pulling in behind. This time I opted for the upper deck and instantly I was reminded after sitting down at the front over how obstructed your view is on these buses due to the window from the sides not reaching the ends of the bus. Heading down Baker Street was smooth sailing and even Oxford Street wasn't that bad when we arrived. The buses themselves are quite nice to ride, upon boarding both the buses the "new bus smell" was evident. They have the same layout as both the Go Ahead and Tower Transit EvoSetis inside and contain Esteban Civic V2 seats. On the exterior the buses are again similar to their Tower Transit and Go Ahead counterparts, the buses are mostly red with a lot of black on the rear. 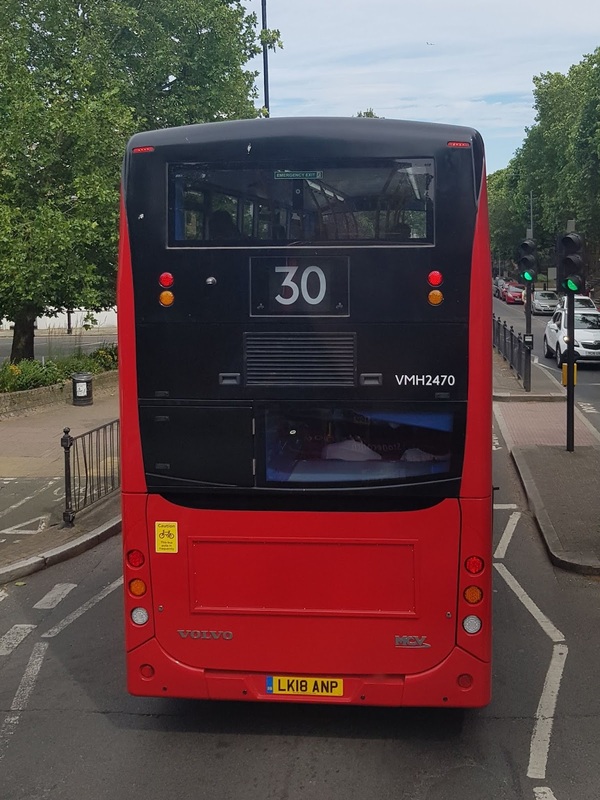 Due to the presence of the battery on the B5LH the rear window only stretches along half of the bus. The service on the first day wasn't the best service as you can probably tell from my experience. Turns were evident throughout the day as well as bunching along the route. 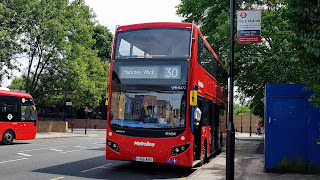 Although this was not helped by the traffic situation in Central London and Hackney although no doubt the service will improve as time goes on and Metroline get used to the challenges that the 30 presents. The question now is would I recommend these buses to you? It's a hard one, while the buses on this route didn't blow me away like they have on previous routes that I have rode new buses on they are very good buses, the Metroline interior colour scheme works very well with the look and feel of the bus. Although the 30 as a route is not one that is doing the bus type justice, being infested with traffic throughout from the start. It might be more worthwhile waiting for these buses to start full service on route 274, or for them to enter service on the 43. Nonetheless after effectively years of almost no variety in Metroline's order books (the last time Metroline chose another Double-Deck bodywork supplier was the 332 in 2015) it is nice to see some variety creeping back into the fleet, alongside an order for Optare Metrodecker EVs for the 134 as well as the E40H City EV order that I mentioned earlier on in this post. 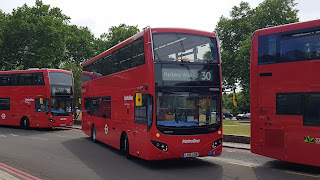 It shouldn't be too long now until more VMHs enter service at Kings Cross to fully convert route 274 to Double-Deck operation, which has currently been delayed although a few were caught running as extras. They also should enter service soon at Holloway for the 43. Within the next few months Metroline will also be introducing another new bus type to route 46. After a dull few years in terms of bus orders variety seems to have finally found it's way back into the Metroline fleet. The 30 was meant to be at ht. But they changed they mind and the 31 was getting these at ht but due to space it got wrights and moved to wj and the 43 wanst getting these. 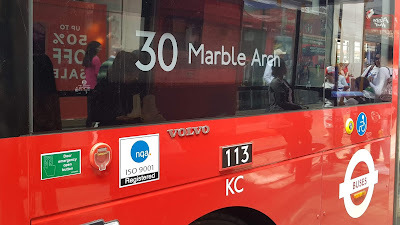 The 30 was going to be at KC since its award, The 31 was originally won from WJ but then a later decision from Metroline saw them chance their minds and operate it out of Perivale West. Thing is they ordered a different type due to the engineering director being part of the MMC along with others at the time of launch. Drivers at Perivale West were enthusing about it.